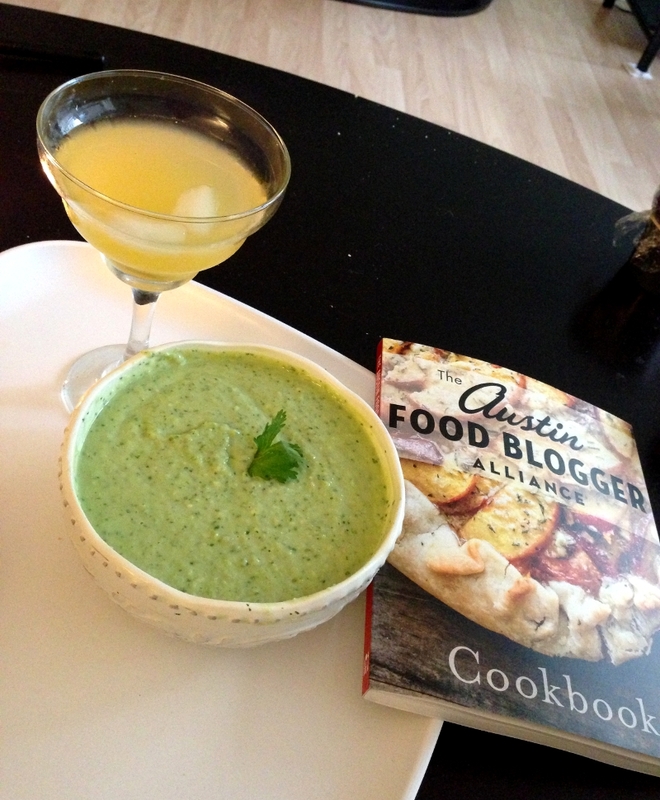 The Austin Food Blogger Alliance, of which I’m a member, put out an awesome cookbook this spring. Unfortunately I joined to late to get in there but hope to contribute next time. When Mr. RWB came to visit a few weeks ago, he brought me my copy of the cookbook. One of the things I love about AFBA is that it’s members are really involved. 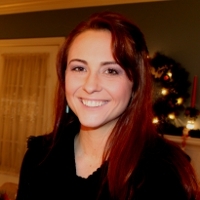 There are learning sessions, volunteer opportunities, happy hours and monthly challenges. May’s challenge was to make anything from the cookbook…and of course I waited until the 31st to try it out. 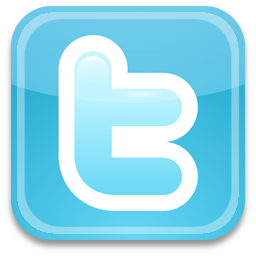 Mind you the post was supposed be up by the 31st….I”m on summer time! Even though I’m late, I did make 2 recipes. I mean you can’t have a drink without a snack! 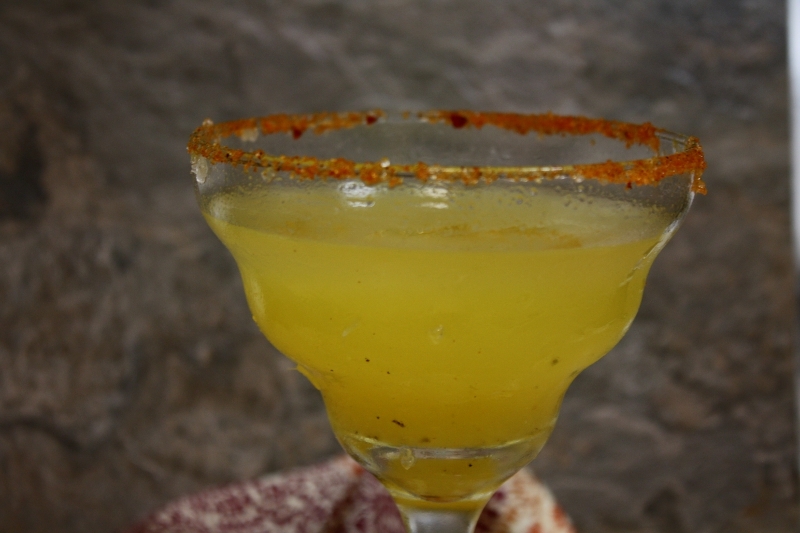 The 2 recipes I made were the Caliente Mexican Martini by Chris Perez of MetropoChris and Salsa Crema by Kristin Schell of The Schell Cafe. 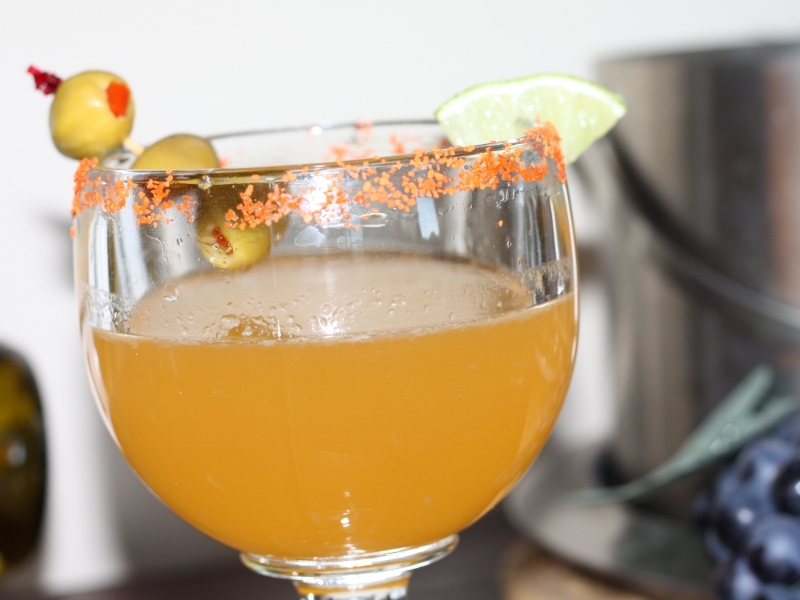 First the drink – it’s a take on the classic Austin Mexican Martini. The spice comes from peppercorns and jalapenos (candied in my case) and it’s pretty darn good. I’m not sure I’d use the peppercorns next time but this is the closest recipe I’ve found to what I can get back home and perfect for summer! 1. 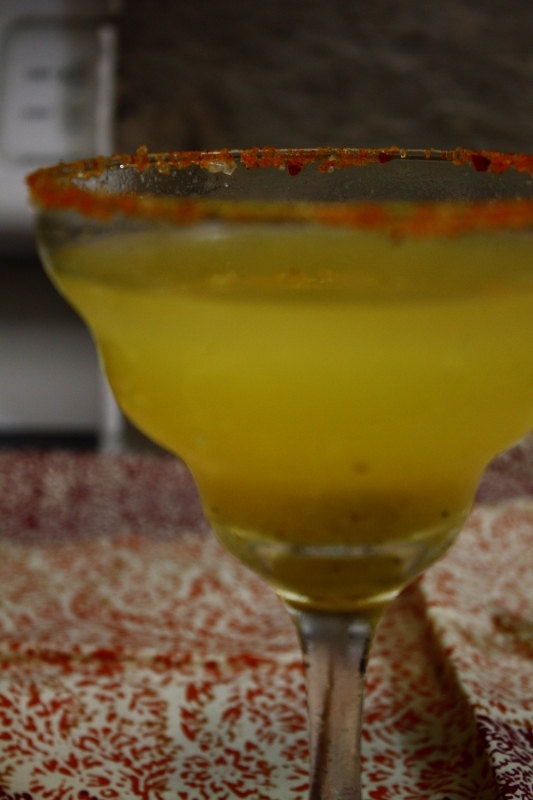 Put lime juice on the rim of a glass and dip in salt. Place glass in the freezer while making the drink. 2. 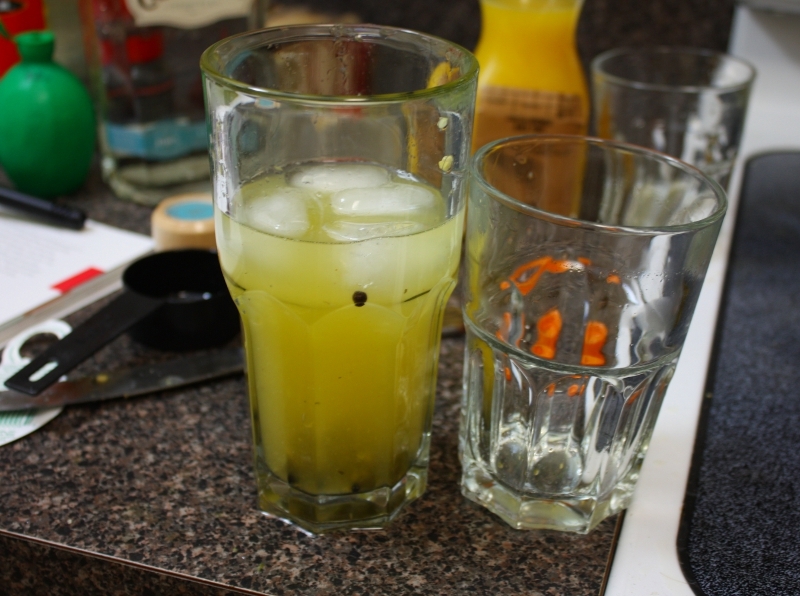 In a shaker or large water glass if you don’t have a shaker like me, put peppercorns, jalapenos and tequila and muddle until the peppercorns are busted or the jalapenos are squished. 3. Add lime, orange and olive juice and fill with ice. Shake well. 4. 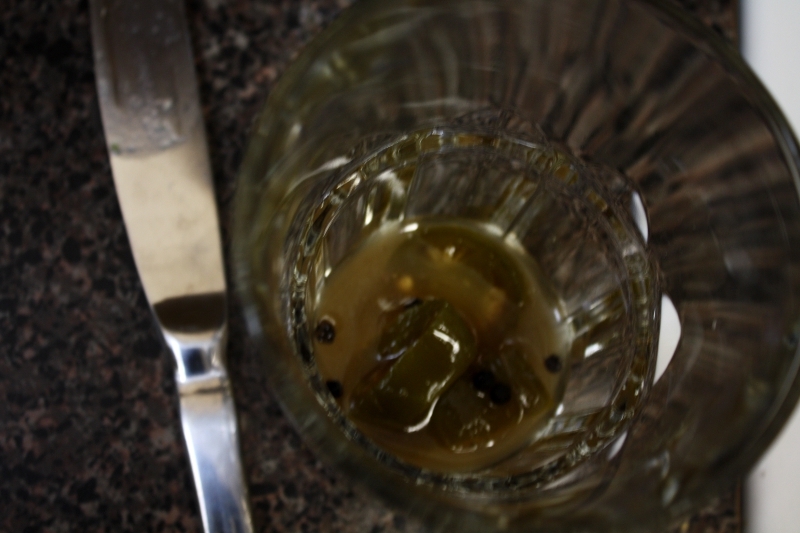 Strain into cold glass and garnish with olives if you like. Now on to the dip. If you’ve been around here a while you know I’m not big on cottage cheese, cream cheese or sour cream. 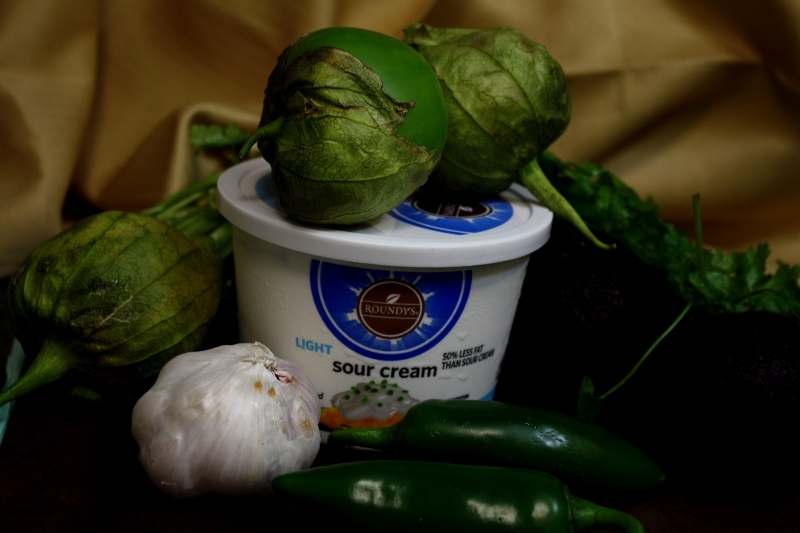 Well I like this…it has sour cream AND avocados AND tomatillos! The recipe calls for 3 tomatillos, I think I used 5. These cousins to tomatoes are tangy and just so much fun. What’s nice about this recipe is that it’s made in the food processor so very little prep is needed. 1. 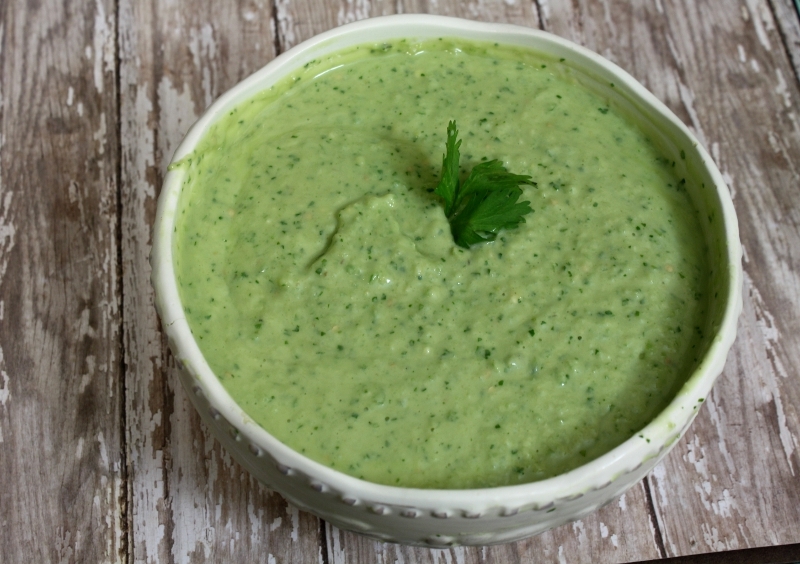 Place tomatillos, garlic, jalapenos, cilantro, sour cream, and milk into the food processor. Pulse until smooth. 2. 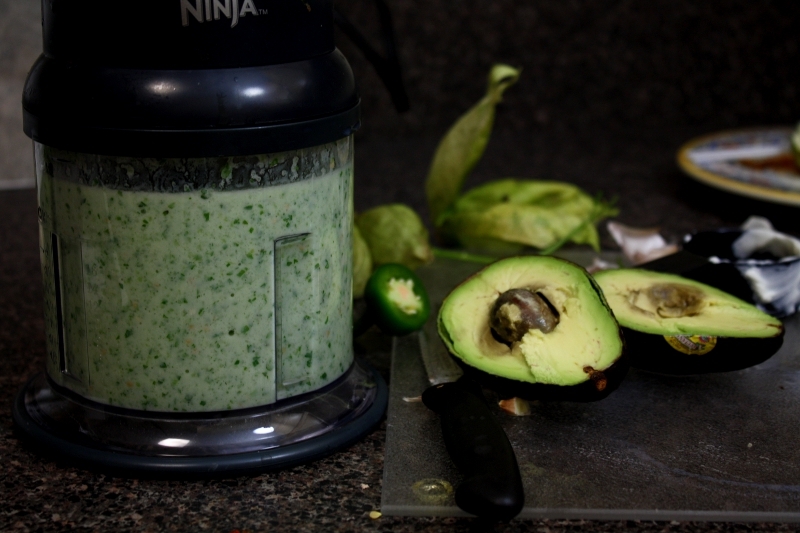 Add avocados and lime juice and pulse until smooth. Melissa, these look great. It’s great that Austin has such a great group of food bloggers that supports each other. Thanks for sharing this on Our Little Family Adventure’s Facebook Community Party.